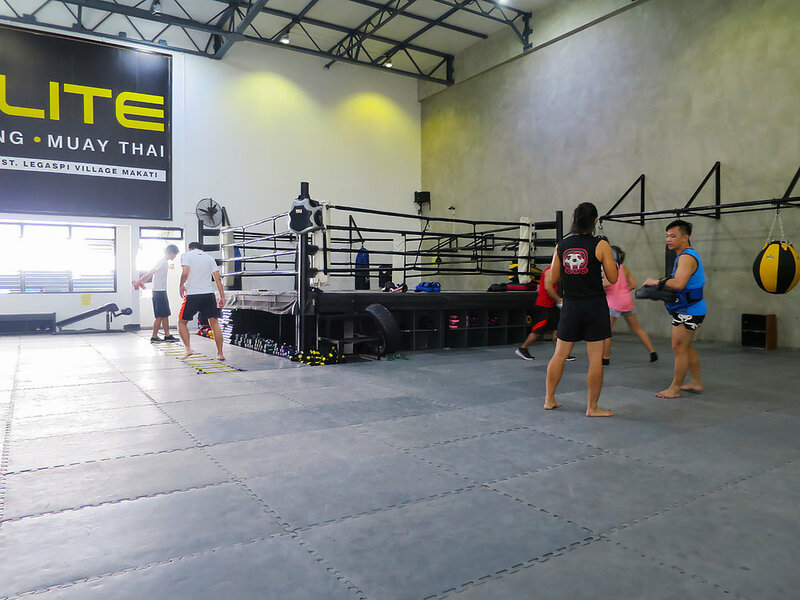 Elite offers boxing and muay thai classes, and what sets them apart, in our view, is how spacious and well-equipped their gyms are. A session can run anywhere from one to two hours. Depending on what time you come, you can either have a one-on-one session with the coach, or be in a small group (but don’t worry -- you’ll still get a good amount of sparring time). And when you’re not hitting mitts with the trainer, there are enough heavy bags, weights, and speed balls to keep you occupied. There are currently three branches: one in Makati (Legaspi Village), one in Ortigas (Emerald Ave, Ortigas), and one in Eastwood (One Orchard Road Condo). Elite has shower and locker rooms, and benches by the entrance where you can wait before your class starts. It’s recommended that you bring your own wraps and gloves, but you can also rent these at the gym at P25 for wraps and P50 for gloves. First timers can avail of a trial session for P300 for boxing and P400 for Muay Thai, while the regular rate is P450 for non-members. A membership with Elite (valid in all branches) costs P2,000 per year, but the cost per class for members falls to P250 for boxing and P350 for Muay Thai. You can also get one month of unlimited boxing for P3,000. I feel like there’s a lot more variety with the training sessions at Elite versus other boxing gyms because of the amount of equipment that they have available. Even when the gym is packed, there’s usually enough for everybody to kind of work with. I’ve only ever been to the one in Makati, but that branch is extremely clean and the ventilation is good so it never smells. Most of the coaches here are also national team athletes or coaches (or previously were). I usually do Muay Thai when I go to Elite. They have professional trainers that really focus on establishing your fundamentals and developing your technique. They will really work on making sure your form is right and they will take their time to do so. It’s a one-on-one session and similar with Elorde, would be a mix of mitts sessions, Speedball (for boxing), and bag work followed by circuit work and a cool down. We want to know what you think! If you've been to Elite, leave a comment below and tell everyone about your experience.